Figure 13. Replacing Wiring Harness 3W1 Cont. Home > Ordnance Documents and other related manuals > > Figure 13. Replacing Wiring Harness 3W1 Cont. Figure 12. Replacing Wiring Harness 3W1. 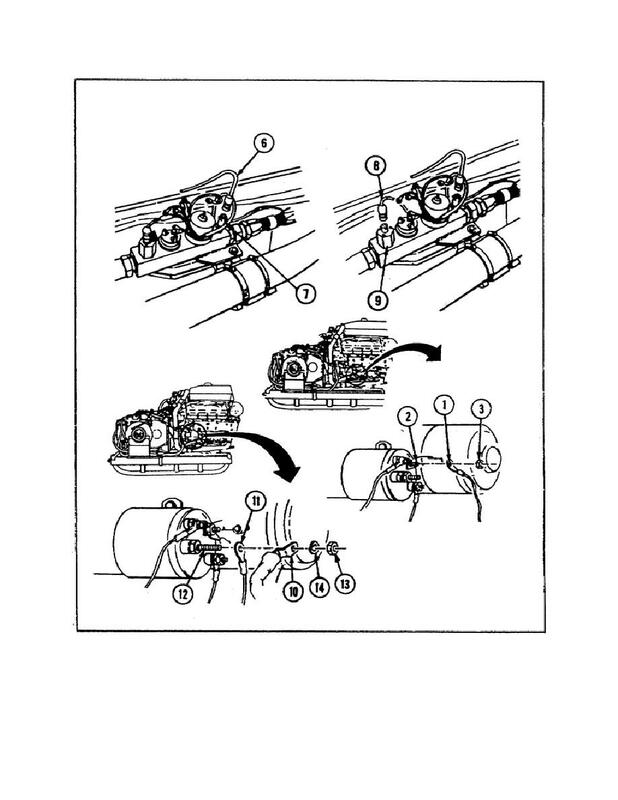 removing screw (6) and clamp (7) from right engine support (5). three screws (8) from three oil pressure switch terminals (10).